40145 made it safely to Barrow Hill yesterday (Thursday) for repairs after which it should be fighting fit for mainline work again. 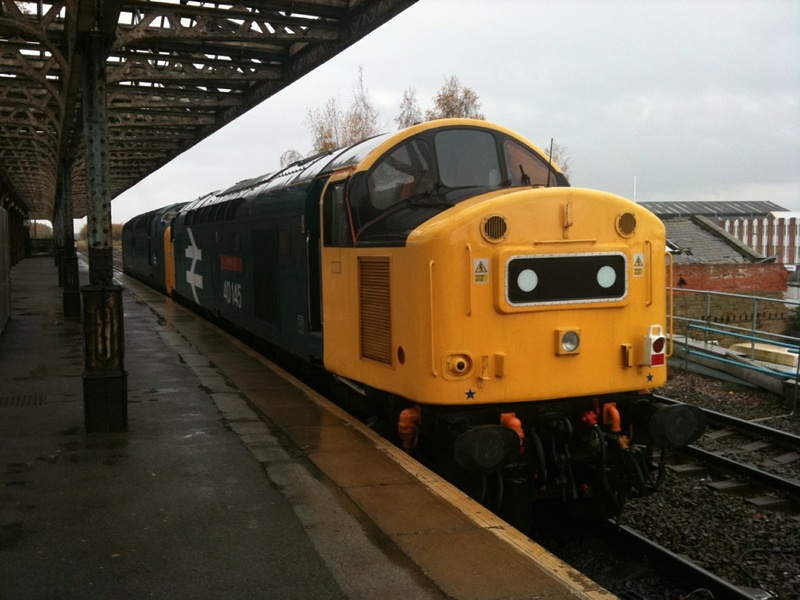 Here is a picture taken by Martin Walker of 145 at Wakefield Kirkgate en route to Barrow Hill. Thanks to Martin for providing 55022 for this move. ~ by cfpsnews on November 12, 2010.